Acer Aspire 5750G (AS5750G-6653) is a laptop with 15.6-inch Active Matrix TFT Color LCD display which has WXGA resolution and LED backlight technology. The NVIDIA GeForce GT 520M is equipped with 1 GB DDR3 graphics memory to increase graphics performance. This notebook packs an Intel Core i5-2430M dual-core processor with 3 MB L3 cache. The speed of the processor is 2.4 GHz. With Turbo Boost, the speed can be increased up to 3.0 GHz. 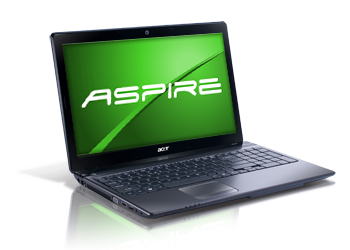 Acer Aspire 5750G (AS5750G-6653) is supported by 6 GB DDR3 SDRAM. It's upgradeable up to 8 GB with two memory slots. For data storage, this laptop is equipped with 640 GB 5400 rpm SATA HDD. Other specs include VGA port, HDMI port, three USB 2.0 ports, card reader, webcam, 6 cell Li Ion 4400 mAh battery, and optical drive. The security features are BIOS passwords and Kensington Lock slot.